The 2009-2014 version of The Serious Job Seeker is still published as an online resource. It is a complete and interactive course and textbook. It is also the online companion to the print and Kindle editions of the book. See the Table of Contents for online Self-Assessments, Sample Resumes and Sample Correspondence. 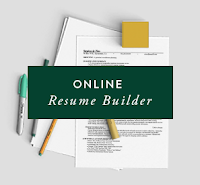 The Serious Resume Builder is an effective tool for creating a professional resume. Fill in your information (after completing the exercises in the book!) and choose a style and format. Compare looks and make changes. Export your resume to Word for final editing and additional touches. Current edition & online archive. 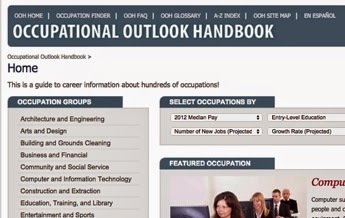 You can find tons of great information about hundreds of occupations in the OOH. I have been using it and recommending it for more than thirty years. Published by the U.S. Bureau of Labor Statistics. Military Crosswalk (MOS) Search ... find careers like your military job. Is your website crying for help? Tell me what you want/need. You can give examples of sites you like, color schemes, or forms. Painless, easy website development: Click here to join the 21st century!